The first weekend in December is often a crap-shoot at the box office, with little to no competition being brought out for the movies released over the lucrative Thanksgiving holiday weekend. 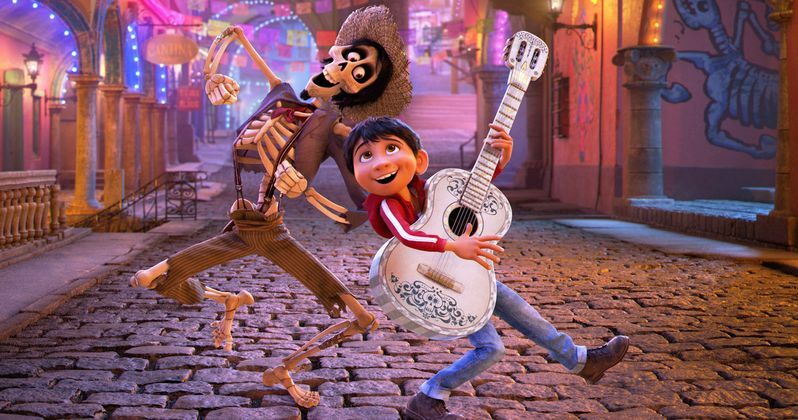 This was the case this year, with no new releases arriving in wide release, which allowed last weekend's winner, Disney Pixar's Coco, to remain atop the box office for the second weekend in a row. The animated adventure took in an estimated $26.1 million in its second frame in theaters this weekend. Coco dropped just 46.8% in its second weekend, remaining in 3,987 theaters and pulling in a $6,550 per-screen average, bringing its domestic total to $108.6 million. The movie has pulled in an additional $171.3 million, including a Mexican box office record of $54.4 million, becoming the biggest Mexican movie of all time, beating the record held by The Avengers from 2012. While it remains to be seen how big this movie will become at the domestic box office, it is already a commercial and critical hit. The top 10 was rounded out by Justice League ($16.5 million), Wonder ($12.5 million), Thor: Ragnarok ($9.6 million), Daddy's Home 2 ($7.5 million), Murder on the Orient Express ($6.7 million), Lady Bird ($4.54 million), Three Billboards Outside Ebbing, Missouri ($4.53 million), The Star ($4 million) and A Bad Moms Christmas ($3.4 million). Also opening in limited release are A24 Films' The Disaster Artist, which earned $1.2 million from 19 theaters for an impressive $64,254 per-screen average, Fox Searchlight's The Shape of Water which earned $166,800 from just two theaters for a massive $83,400 and Amazon Studios' Wonder Wheel, which earned $140,555 from five theaters for a $28,111 per-screen average. Looking ahead to next weekend, only Broad Green Pictures' action comedy Just Getting Started will debuted in wide release, and while The Disaster Artist will also be expanding nationwide, it isn't clear how significant the expansion will be yet. Also opening in limited release that date is Neon's highly-anticipated I, Tonya starring Margot Robbie, Vertical Entertainment's Hollow in the Land starring Dianna Agron and Rachelle Lefevre and another Vertical film, November Criminals, starring Ansel Elgort and Chloe Moretz. Take a look at the top 10 estimates, courtesy of Box Office Mojo, and check back on Tuesday for next weekend's predictions.